The Sun, sprawling beaches and parties - are three things that come to mind at the mere mention of Goa! The state is a perfect fusion of eastern and western cultures and is one of the best party destinations in the world. 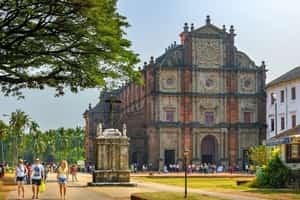 With over four centuries of Portuguese rule in the state, Goa is a completely different environment than anywhere else in India. 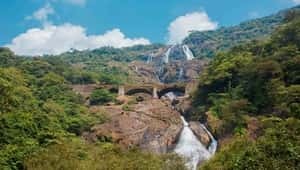 It is also one of the richest states in India and has plenty to offer, including interesting historical sites, an array of shopping options, delicious local cuisine, and serene nature retreats. The Best Time to Visit Goa - About 1000 m above sea level, Goa enjoys a tropical monsoon climate. During summer, daytime temperatures can go up to 35 °C (95 °F). It’s best to visit the city during the months of November to February. This is the time when the monsoon has just passed and the weather is just right, not too hot or cold. You’ll find a number of good hotels in Goa around the most happening areas of the city during this time. Almost every beach shack is open and watersports like jet skiing, banana boat rides, parasailing, kayaking, scuba diving and more are popular at this time. Goa is most visited during the Christmas and New Year season, when the state is celebrating these festivals with complete gusto. Music festivals, including Sunburn festival happens around around the months of December and January. Goa also has a beautiful street parade during the Konkani festival, Shigmo which is normally held in March. With Treebo Hotels in Goa you have a number of choice to choose from. Whether you prefer a beautiful beach resort or guest house, you’ll find that Treebo has it all. If you’re looking for affordable accommodation, you can choose from our range of comfortable 2-star, 3-star hotels, and budget hotels in Goa. If you don’t mind spending a little more, choose from our posh selection of Goa serviced apartments, resorts and guest houses. Our hotels are quite popular in the state, so make sure you book hotels in Goa in advance for a care-free vacation with Treebo. Book Popular Treebo hotels in Goa here: Treebo Zeebo Suites, Treebo Rain Forest Enclave, Treebo XEC Residency, Treebo Green Park, Treebo Aqua Blu, Treebo Maison Ocean Beach Resort, Treebo Village susegat beach resort. Couple Friendly Hotels In Goa - Goa is easily one of the most popular getaways for couples in India, so it should come as no surprise that there are numerous hotels in Goa for unmarried couples. If you’re looking for luxury on a budget your best choice would be Treebo Hotels. With Treebo you can expect a host of amenities, great service and comfortable rooms at affordable prices. Choose our couple friendly hotels in Goa and you can be sure you’ll enjoy a judgment-free vacation. Hotels in Goa sell like hotcakes, especially during the season. If you’re on a budget, why choose a substandard hotel. Choose Treebo Hotels in Goa which offers absolute comfort at surprisingly reasonable prices. Our best hotels in Goa offer great amenities like on-site parking, in-house restaurants, swimming pools, timely laundry service, room service and 24-hour security. You can expect to find in-room comforts, including air conditioning, cable/DTH enabled TV, wardrobes, lockers and a clean attached bathroom with branded toiletries. You also have the privilege of enjoy fast WiFi and delicious breakfast on the house. The Treebo app also makes Goa hotel bookings simpler and faster. Choose from popular Treebos in Goa – Treebo Green Park, Treebo Mayfair, Treebo Zeebo Suites, Treebo Goa Blossom Resort, Treebo Jesant Valley Holiday Homes & many more. 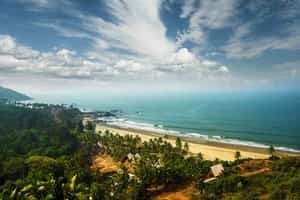 Best Places to stay in Goa - A majority of Treebo’s top-rated hotels are located in North Goa, which happens to be the trendiest location in the state. To enjoy the best restaurants, markets, pubs and beaches, you should looks for hotels near Anjuna Beach or guest houses in Calangute Beach. These accommodation options provide posh accommodation and amenities including furnished rooms, swimming pools and delicious local food. You could also choose affordable hotels in Baga near the beach. If you wish to catch an early train, you can find numerous hotels near Madgaon Railway Station. 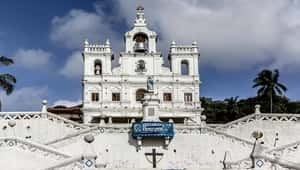 If you wish to explore the historical sites of the city, you’ll find a number of excellent hotels in Panjim with swimming pools, restaurants and stunning views of the city. Events in Goa - Goa’s rich history and culture truly comes out during its festivals. If you’re travelling to Goa in the month of February, don’t miss the Goan Carnival, when people enjoy band performances, dancing, and food fests on the streets. In the month of November, Goa hosts a massive food and cultural festival, where you can witness dance and musical performances from cultures all around the world. The seafood made by the locals and sold on the streets is the highlight of the festival. Christmas, Ganesh Chaturthi, Good Friday, and St. Francis Day are other huge festivals in the state. So plan ahead and make sure you finish your Goa hotel booking in advance to beat the crowd. New Year in Goa - Goa, the city of beaches, hosts the New Year like none other. The city is filled with tourists during this time and it sure pleases all the people that come here during this time, making it the favorite destination in for year end. This New Year Eve in Goa will give you a thrilling experience to party hard and will leave you with great memories to remember forever. Book your tickets for New Year Party in Goa with EventsHigh today and don’t let the fun opportunities pass away. 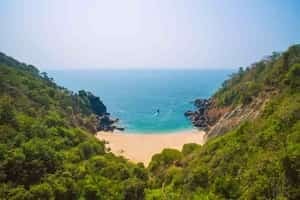 Experiences in Goa - Goa has so much to offer to every traveller, whether you’re visiting for religious, business or casual reasons, there’s something for everyone. Some of India’s most beautiful monuments can be found in this tiny state. 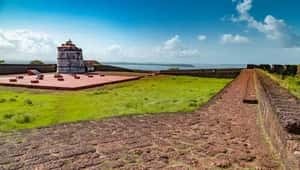 Visit the Basilica de Bom Jesus, Fort Aguada, Chapora Fort, Church of St. Francis of Assisi, Reis Magos Fort, Viceroy’s Arch, Safa Masjid, Rock Cut Caves, and Mahadev Temple. 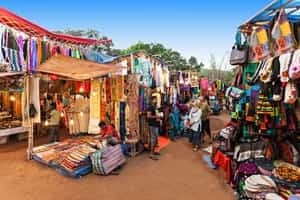 Goa’s iconic night markets including Anjuna Flea Market, Saturday Night Market, Mapusa Market, Calangute Market Square, Panjim Market are perfect for shopaholics. Sample some of Goa’s famed food and fenny at La Plage, Sublime, Curlies, Pousada by the Beach, Mum’s Kitchen, Hotel Venite, A Reverie, Little World, Go with The Flow, Spice Goa, and the Black Sheep Bistro. “Our experience was quite nice. The location of this hotel is awesome. Plenty of good restaurants and hotels near by and the beach is just at walking distance. The staff was very friendly but a little laid back and we had to remind them over and over for water and cleaning the room. But a good budget“ hotel. Would recommend to everyone. Great for couples as well .they have a restaurant in the hotel and they do some nice evening events. “it was a great experience with treebo stay,i had booked 5 nights stay at green park @ mapusa goa. i used to stay earlier also in this hotel but was booking directly with hotel but this was a pleasant experience with treebo, booking was instantly, hotel hospitality is awesome, co-operative staff. ove“ rall had a great time. “One of the best decision in the Goa trip was to stay at Treehouse Martin Siesta. The hotel is located at prominent place which is easy to find. It is easier from there to get to nearest beach via bus which is available across the road. Hotel staff also helped us by arranging two wheeler and car or r“ ent. Food was also excellent and very nice ambience. It was an amazing experience with Treebo. “We have stayed at Treebo Goa and it was an awesome stay. Locality was good, all popular beaches are nearby to hotel. Ambience was good . It&#39;s values for money which we spent during our stay at Treebo.Please maintain the same quality and would like to recommend to everyone to stay at Treebo onc“ e.
“One of the best beach resort in North Goa. Room number 108 and 110 have awesome views towards the beach. The ocean is visible from your bed. Just climb down few steps from the resort you will reach the sea shore. Sea lounges which belongs to the Maison resort is available there for you. You can spen“ t the whole night there enjoying the sea breeze. The resort will serve food to the sea lounges but not liquor. You should take it with you on your own risk. The view from the restaurant is also awesome. Food served is also great. Especially the sea food. Breakfast is complimentary but don&#39;t expect too much. Simple breakfast is severed. There are lot of restaurants and bars available near by for you to spend some time. All walkable distance. Few shacks are also available near the resort beach area. Staffs are really friendly and their service is great! “We had planned our goa trip and for staying in south goa we chose this hotel. The staff were very courteous and helpful. The rooms were very clean and we had a real good time during our stay. The complimentary breafast was very sumptuous. In brief, this hotel ticked all the roght boxes, only the loc“ ation is a bit inside. Hotel is good far from visiting places. 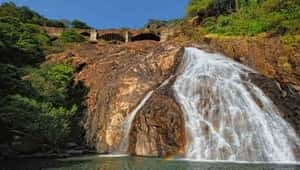 “North Goa is Fantacy, South Goa is reality..Better be in fantacy when in Goa and enjoy.. hence don&#39;t stay in south goa.. and if you do so &amp; choose this hotel then here is my review.. Hotel is in very very remote area with almost nothing nearby.. Even no taxis, bikes.. and hotel did not have “ contact no. of any person, which they must have, whom we could speak and get taxis/bikes etc in hotel. We had to walk, then get on to a public bus and reach market where we finally got 2 bikes. It took almost 2-3 hours, and with family and kids, it totally spoiled our mood already. VERY BAD on hotels part. Hotel seems to be residential building converted into hotel, we booked 2 rooms and got a hall, kitchen alongwith rooms.. hence we could not get that hotel feeling that we wanted. Rooms were clean, hotel staff were very friendly.. Don&#39;t expect anything in complementary break fast in any budget hotels in goa.. Just tea, bread and one dish which mostly you will not like.. Note that hotel does not have swimming pool.. Overall ok ok..
Value for money.. memorable trip..
“I visited Treebo Village Susegat Beach Resort for 3 days with my family and trust me its one of best trip of Goa . I loved the wildness in the atmosphere as i love staying close to nature. I want to specially mention Mrs. Manali Sawant their Resort Manager who was friendly and caring throughout . I“ t was an affordable place and food was yummy too . Taxi and scooter on rent was easily available. I highly recommend this place . “Fully Comfortable Stay I had there, when you see the beach from restaurant first time it makes you surprise and leave a smile on your face, Less crowded beach it is, you may spend whole day there as well as roam till late night. Pallavi (Receptionist) and Manali (Resort Manager) always have smile on“ their faces, and always ready to help whenever you have any query. In short i can say that it was my best choice to choose this hotel for stay. Holiday at Goa with treebo susegat ! “Initially when I booked this hotel I was little confused about the location and quality of rooms, etc but the stay was worth the money and travel I had given .Rooms were so specious and clean. Calm environment and supporting staff .Staff was really very nice. And the beat thing is location . Locatio“ n is 200 mtrs away from beautiful, crowdless beach (ashwem) .I had a plan to roam around the city during my stay but atmosphere was so nice that I spent three days out of four in same beach itself .Family was also happy for the stay. Another bwat thing is there are some amazong restaurants nearby .Least what I don&#39;t like is the breakfast . It could have been better. Only poha, omlette, bread, tea and a fruit provided with tea. It was not a quality in line with stay standard .There is a nice restaurant out of the resort on beach side (called s2 etc, dont remember the full name) resort and this restaurent have privatw way to beach. That restaurant too made my trio amazing as the quality of food and atmosphere they have ais also best in class . Also they provode ayurvedic massage service in very cheap rates .I spent all threee days in the same restaurent on their sun beds experiencing ocean&#39;s beauty till sunset. “the property is excellent but isolated I would recommended only for a big group or a big family else it might get really scary for a couple or an individual Traveller. Thoughthe hotel has a lot of things to keep you engaged however there is nothing around the hotel all restaurants excetra are at the“ minimum distance of 15 to 20 minutes drive it is recommended that you have your own vehicle if you are staying here. “I stayed at hotel Treebo aqua blue situated in calangute, Goa. room was very good with nice interiors. all the staff were very good and supportive. you wll get 24 hrs of assistance and service at the hotel. swimming pool was also good. situated very near to calangute beach Goa which is about 10 minu“ tes walk from the hotel and you can enjoy shopping en route. “We have book three rooms in septemebr 2018 for3 nights. Rooms are good and so ambience. After checkin immidiately receptionist has asked to pay whole remining amount for booking period it is not so good. As my room kittle was not working I have to ask hosue kipping to replace it but it has take some“ times. Aslo as in my room water is comming very slow, I have askjed house keeping to see the problem but problem was never solved during my stay inspite of promise to repair it early by hotel. What is also I do not like hotel policy to use pool before 9 am. As We are tourist and want to go for sightseeing early before 9 am It was never possioble for us to use pool. Breakfast quality is of not upto the standard. Other then this things hospilaty is very good. “Some points I want to mention here.Breakfast is complementary but it doesn&#39;t last much as last guests will have to compromise, will be left with just bread, paav etc only. Another point is, always call and confirm after the booking, as in my case it was not showing any booking at their reception“ . 3-4 calls and it showed up. But was provided with queen size bed even after making a booking for 2 adults and 2 kids specifically. Again 2-3 repeated calls here and there, then they provided extra mattress, even they tried to charge for it also, but when i showed them screenshot of booking having mentioned 2+2, they said it will be complimentary.Lunch and dinner is provided against the charge and procured from outside. Do not order it, please. It spoils the Goan feel. And yeah, my son broke a water glass and was charged 60 rupees, just saying. Near Beach..Great and Quite Place. Plz select Maple kind or Separate Mahogany cottage. “As in regular room on the non seasonal time got a very side way room AC unit without display and exhaust fan not working. Next day I opted for maple kind of room. Bigger one but again same problem of Non operational exhaust and water is dripping from the window. But as a quality of ambience of the T“ REEBO is always classic and upto the mark. View is amazing from room. “Well the most important and the positive thing about this hotel is the room. It’s like you’re living in a nice apartment. We had got a pool view so that was a plus point. The room has bonus amenities like refrigerator, oven, water filter etc. the staff was good too. Breakfast can be improved a bit. “ Also the only let down for me was that I had received a message from Treebo that the check-in time was 12:00 pm but I went to inquire at the hotel they said it was 2 pm. After calling the Treebo customer care about the same issue they assured us that we will be getting the check in at 12:30 atleast. But that didn’t happen. I would not like to blame the hotel for this. It is actually the Treebo team who should be looking into this matter as this is a major flaw according to me. Besides that me and my friends had a wonderful stay and as we are localities, we sure will be visiting the place soon. Awesome of staff service , the location might be issue for some people. “The hotel is located on the main road close to Condolim beach which is 5 mins walk. The hotel has entrance through restaurant which is bit awkward. There is no proper reception counter, it would be nice to have designated reception counter. However, the staff was cooperative and attentive.I must app“ reciate the attitude and service of Mr Ranjan and Mr Imran, they were very helpful throughout our stay. I booked a standard room, the hotel allowed our request for early check in. The room was decent in size and with basic amenities such as AC, TV ( small screen), geyser, coffee maker and mini refrigerator, etc. The bed was comfy and neatly done. The room had balcony but do not expect any scenic view. The water flow in the bathroom was slow, which needs to be fixed. The hotel has its restaurant &amp; bar and has live music in the evening.Tried vegetarian food which was average. There are several wine &amp; dine options nearby which are also opened till late in the night. There is departmental store just opposite the hotel. The hotel has no parking space, only option es to park my scooty in front of the departmental store. The complementary breakfast had only puri bhaji, some juice and tea. The breakfast menu should have more option. Considering the cost I paid for a day, I found this place decent option for accommodation. “The location of the property is gorgeous and the beach is accessible at any time. The planning of the property hasn&#39;t been the best. The standard rooms had interesting eco friendly concepts, but the execution lacks thought. The bathroom and shower were inconvenient. The grounds and restaurant ar“ ea can be upgraded as well. The staff at the reception was very helpful, but the restaurant staff needs a little push. Overall, we had a lovely time. “Rooms: Good, clean, and location of rooms are good. It is on the corner of the big rock so can have nice view of whole Ashvem beach. Super deluxe category gives Sea view. Hot water not consistent.Location: Nice sea view and can reach beach by stepping down just few stairs.Restaurant: Surely needs im“ provement. You will find better restaurants around both price-wise and taste-wise. Breakfast also OK types. “Pros:Big roomsNice poolGreat locationParking availableDecent breakfastResponsive and attentive staffCons:CockroachesPoor room maintenance. Shower handles falling off, amenities such as microwave missing.We experienced the above two negatives in the first room that was allocated to us. We complained “ and the staff gave us another room which was better maintained and had all the amenities such as microwave and gas cylinder etc. However the cockroaches remained a problem. Thankfully unlike the first room which even had funny smelling sheets, the second room had clean sheets.Overall good experience - nice balcony, nice view, spacious rooms - just that the cockroaches and the badly maintained first room were problems. “Comfortable stay. Breakfast is average. Room size best for one couple plus one small kid.Bed size: Okay for someone below 6 ft. Swimming pool: Decently maintained. Dining shuts down too early for Goa Standards, i.e, 10.30 pm is the last order. Staff are cooperative. Aged people/ people who have to h“ ustle it out to use the stairs, try getting a room in the first floor since no elevators. Can rate it overall by saying: Average. “Pros: Location of property is good... Property is right next to beach... Beaches are less crowded... Provided Cab and Bikes services... Rooms are comfortable.Cons:Property is not properly Maintained... Staff struggles to provide good service. Staff are not professional... Food is way too expensive. “ Vehicle rents are high. Room maintenance is not taken care of. When asked for house keeping, request was bluntly declined. You&#39;ll find more guests in neighbourhood. Overall things are good...but the location is not good too much peace here.no view point here.too far from city. “Guests can have alcohol at the common areas which is pathetic and hotel management has no issues with that and not good for family or couples who doesnt like alcohol consumption. When we took this to the hotel management, they replied we will not provide alcohol but guests can get from outside and h“ ave it at hotel which we felt a bit emberrassed as we personally dont like alcohol consumption. Apart from location everything fine. “Location is the only plus point of this resort.amazing location for beach lover as it&#39;s a Beach resort. But service is very very poor.we choose deluxe room though it was not so spacious but was not so bad. bathroom was pathetic. it was smelling bad even at the time of check in. Staff was also no“ t so co-operating we had to ask 3 to 4 times litteraly to get what we needed.next day when we came back to our room was not cleaned.breakfast was average. Not worth due to location. “Location is far from everything. 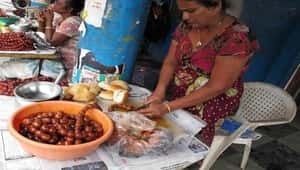 It&#39;s built in a residential area in outskirts of madgaon.AlsoNo in-house restaurant.Can&#39;t avail cab services, have to depend upon hotel drop in services which is very costly.Street dog&#39;s kept barking through night. room service is average.It does not have“ a hotel feel, more of a residential apt converted to cater for business or bachelors trips. “There is a lot of improvement scope right from choice of breakfast to cleanliness to attentive staff. We stayed for 2 days 2 nights during the peak season of december post xmas. The breakfast included with the room charges was very limited, it could have been better. As this been a peak season lot o“ f tourist visit hence its always a bad idea to disapppoint them, i our case we felt disappointed. “First thing.. Don&#39;t stay in South Goa better stay in North Goa, and if stays here then rememre this Hotel is in very remote area in residential colony.. You will not get taxi or bike here.. Hotel doesn&#39;t have contact no. of persons who can get you bikes etc.. they have 1 car and 2 bikes bt m“ ostly they r not available and costly also.. Hotel seems to be a residential building converted into hotel so it doesnt give hotel feeling . We booked two rooms but got a hall and kitchen also.. Staff is very nice, 2 girls and 1 boy sitting on reception were very nice.. Dont expect anything in breakfast in budget hotels in goa.. Overall strictly just OK hotel. “Checked in to this &#39;resort&#39; with high hopes as i needed a property just next to the beach. The only thing good about this place is the view and that it is bang on the beach. The property is not clean, the restaurant smells of stale food, the railings are all rusted. They can really make this“ place into a 5 star property if they maintain it well but unfortunately that not the case. We had to stay for a day as we had paid advance. Was a relief after we checked out! I and a friend will be going to Visakhapatnam to check out the beaches there. Can I know some good budget hotels there? I will be travelling back to Srinagar and have a stop-over in Hyderabad. Please suggest some accommodation options in Hyderabad? Have to move some of our company's employees from Goa to Ahmedabad. Do you have budget hotels in Ahmedabad where I can accommodate them for around a week? Planning on opening a business in Chandigarh and I'm looking for budget hotels near Sector 7, close to where I intend on opening my business. Could you suggest a few good hotel nearby? We're a group of four (two married couples) visiting Mumbai for a mutual friend's wedding and require affordable accommodation in the city for a few nights. Any suggestions? What are the budget hotels close to the Howrah railway station? Need to book a hotel room for my in laws who are visiting the country for the first time. Need a budget hotel for them for a night that allows foreigners. Any suggestions? I am travelling to Jaipur from Goa this coming weekend. Suggest me some good budget hotels in or around the Hawa Mahal and major tourist spots there. My wife and I are planning to go to Ooty soon. We will be travelling from Goa on a tight budget and are looking for a decent budget accommodation in the city. Tell me about some good budget hotels in Ooty so that I can book at the earliest. Travelling to Chennai for a wedding with my wife, right after a vacation in Goa. Could you suggest some budget hotels in Chennai for couples? I have to accompany my cousin to Bangalore for his college admission process in a few weeks. Do you have any budget hotel recommendations? Going to Delhi for a few days before leaving the country from Goa and need a budget hotel. What are the recommendations and which area should I stay in? Need a good hotel in/around North Goa for a large group. Suggestions? What is a good hotel at Anjuna Beach? Since Club Titos is one of the top nightclubs that we want to visit in Goa, I'd like to know if there are any good hotels located close to it. Please suggest a few. What hotels are available at Gogol Goa? My friend's destination wedding is taking place at Calangute Beach in Goa. Suggest hotels near Calangute Beach best suited for large groups. Parra is one of the stops we're making during our trip to Goa. Recommend good hotels in/around the area where I can stay with my family. Looking for hotels in/near Guirim as I have a function to attend at the Alverno Friary. Can Treebo provide a few options? Since we're mainly depending on buses to get to Goa, can you suggest hotels that are located reasonably close to the Mapusa Bus Stand? Are there any Treebo hotels close to the Madgaon Railway station? We are two couples travelling to Goa. Are all hotels couple friendly? What are the couple friendly hotels in North Goa, preferably close to Siolim? As I'm travelling to Goa by bus, I'm looking for hotels located close to Mapusa Bus Stand. Please provide a few options. Planning to go on a beach holiday in Goa. Suggest good hotels near Colva. Going to Panjim for a day.What are the things to do there? The capital of Goa has many sights and eateries to offer. You can visit the many churches and temples around. The Church of St. Francis is a popular and beautiful spot. You can also visit the historic forts, museums, and Aswem beach. Be sure to have a meal at Cafe Bodega when there. I'm a photographer who is looking to cover rural Salcete as part of my next photography project. I'll need decent, inexpensive accommodation during my visit. Does Treebo have any hotels that fit the bill? Catching a late afternoon train from Madgaon Railway Station. Could you a suggest a few good restaurants for lunch nearby? A few good hotels to dineout in are Girish Ranche Ghar, Pepper's Gourmet Cuisine, Martin's, the Chikoo Tree Project, Cafe Tato, the Garden, Fiska, Cavatina Cuchina, House of Food, Gigi Park, Zeebop By the Sea, and Spicy Bella. What are some of the things to do near Anjuna Beach? 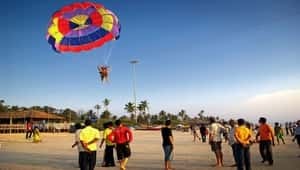 You can visit tourist spots like Chapora Fort & Beach and Sunset Point, shop at the Anjuna Flea Market, gamble at Casino Palms, enjoy water-rides at Splashdown Waterpark, or dine at one of the many artsy cafes in the area. We're a group of 3 unmarried couples who want to visit Goa next month. We're still unsure with regard to the availability of couple-friendly hotels in the city. Please help us out. As we (my wife and I) think there are plenty of places to check out in Madgaon, we'd like to stay in the locality for a few days. Can you recommend good hotels in the area? 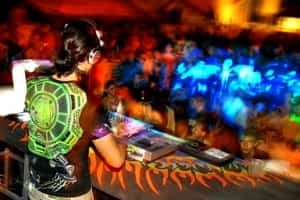 Which are best clubs in/around Baga locality in Goa? Cafe Mambos, Cape Town Cafe, Club Cubana, Cafe Lilliput and Nyex Beach are some of the best clubs in Goa for mesmerizing party nights. These clubs are best enjoyed with your special one or a seemingly large group of friends. I will be travelling to Goa for the weekend. Are there any good hotels near Salcete that allow unmarried couples? We have an excellent hotel called Treebo XEC Residency that is couple friendly. The hotel is only 1.7km away from Salcete and offer comfortable rooms with quality and amenities to keep you comfortable. I need to visit Goa to participate in an event at the Kala Academy. Could you help sort out my accommodation for this trip? Can you suggest Treebo properties close to Mapusa? If I'm choosing Colva as the point of stay during my Goa trip, would I be able to find good accommodation? Also, suggest a few places to see. Treebo Sea Coin, lying just 0.6 km away from Colva, would be the right choice for you. You can book rooms at this property by visiting the following link https://www.treebo.com/hotels-in-goa/treebo-sea-coin-colva-493/ Benaulim Village and Beach, Church of Our Lady of Mercy, and Burnzam Ghor are some of the must-see landmarks in Colva. Hi will be visiting Goa for a week. Are there any Treebo Hotels in Siolim with a Swimming Pool? I'm looking for Treebo properties near Vagator. Kindly suggest. Is there a good hotel in Gogol in Goa? Looking for budget accommodation in Goa near Dabolim Airport. Please help? Do you provide free breakfast & wifi with all your Goa hotels? Please suggest good budget hotels in Goa providing free breakfast & wifi? Please suggest best hotels in Goa by Treebo? Do you have hotels in Goa near Baga-Calangute beach? Yes, we do have hotels near this area. You can select the area you want to stay at, in the left navigation under the option'Goa htoels by location' and book your stay from the hotels list. Check the entire list of hotels near Baga-Calangute Beach. Do you have family resorts in Goa? Yes, we do have family resorts in Goa. To choose the type of stay you are looking for, select this under the option 'Hotel Types' and select the one of your choice. Here is the list of family resorts in Goafor your reference. Do you have Hotels in Ashwem Goa? Do you have treebo hotel in north goa ? What facilities do you provide at Treebo in Goa? Treebo hotels are equipped with the best facilities at great prices. You can always be assured of a delicious complimentary breakfast, free WiFi, great room service within 30 minutes along with the other special facilities for different properties. Do you have hotel near baga beach? Do you have any 4 star hotels in Kolkata? Do you have treebo hotel in south goa ? I am looking for a hotel near Ashwem Beach. Can you suggest any good hotels in that area? I am looking for Budget Service apartments in Goa under 5000 per day. Please help? Do you have good beach resorts in Goa? Please suggest. I am looking for good beach hotels in Goa. Please help? Where can I stay on Baga Beach? Where can I stay near Baga or Calangute Beach? Which hotel is closest to Candolim beach? Where can I stay near Club Cubana? Which is the best hotel in Titos Lane you have? What facilities do you offer in a hotel near Goa Airport? I want to stay near Calangute Baga in my Goa trip. Do you have a good hotel near Club Titos? Any resort in North Goa? Do you have any place to stay near Baga beach in Goa? Please suggest good holiday home stay in Goa? Do you have Homestay option in Goa? Any Good rated Treebo in Candolim area?